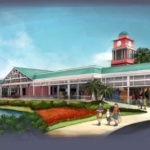 The Walt Disney Company has revealed renderings of a gondola system that’s slated to connect its Florida theme parks and resorts. 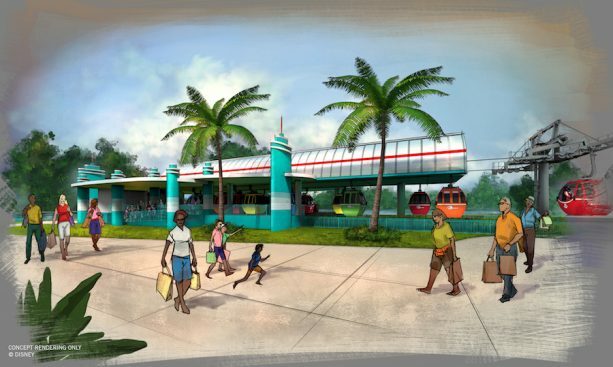 With stations custom-designed around the theme of each property, the Disney Skyliner will connect Caribbean Beach, Art of Animation, and Pop Century resorts to the International Gateway at Epcot and Hollywood Studios. 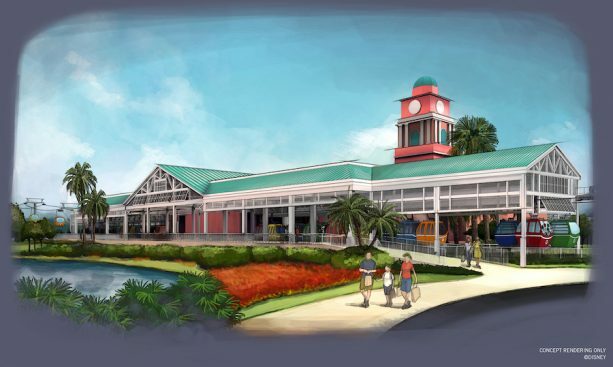 The Epcot station design, for example, will draw on the art nouveau style of the park’s nearby pavilions, while the art deco–revival Hollywood Studios station will align with that park’s main entrance and bus stations. The project was announced back in July, although the construction timeline has not been announced yet. 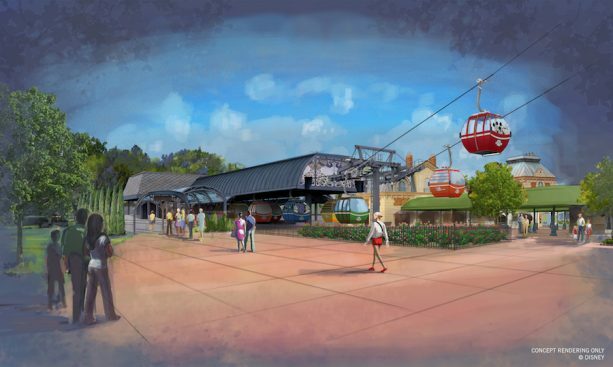 This is not the only gondola project sweeping onto the boards right now. 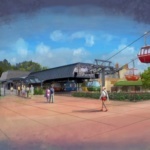 New York– and Oslo-based Snøhetta is designing a cable car that will ferry riders to the top of Italy’s Virgolo Mountain, while London’s Marks Barfield Architects and New York’s Davis Brody Bond are behind a Chicago gondola proposal that would show off the city’s architectural heritage.